In its latest issue, the New York Review of Books features a defense of the public library by Sue Halpern. As NPQ has regularly noted, the demise of the library has been regularly predicted, and yet its importance has instead increased. Those expecting to see decline focused on the rise of electronic alternatives to books. Of course, libraries have become repositories of electronic materials as well. But that is not the only reason why libraries remain critical. Rather, the reason for the public library’s continuing importance is both simple and profound: It is an essential public space in a world where the existence of public space is increasingly rare. Take, for instance, Ferguson, Missouri. 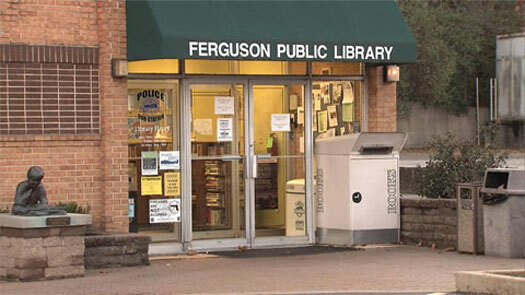 In the wake of the police shooting of Michael Brown, NPQ noted that it was the “library that, during the 100-plus consecutive days of community protests that followed the shooting, stayed open.” As Constance Rush, director of advocacy at the Deaconess Foundation, would note years later, it was the library that received “the community when schools and businesses and governmental agencies closed their doors.” It was the library that served as an “anchor for democracy during that time.” It was the library, Rush added, where “many school teachers came to teach up to 200 children who were at the library” when schools had been shut down. This role of providing public space in times of crisis has become an increasingly prominent part of what libraries do. A film directed by Emilio Estevez called The Public will be released next week and centers on the story of the role of Cincinnati’s library serving as a shelter for homeless patrons during a cold front; the library featured in the film is hosting a panel about youth homeless the week the film is scheduled to come out. Libraries have served as community hubs in many ways. Earlier this year, NPQ noted that at least 30 libraries nationally have hired social workers to better serve their communities. Libraries have partnered to promote affordable housing. In Philadelphia, some librarians have even taken on the responsibility of administering Narcan, helping patrons survive the opioid epidemic. In a growing number of cities, libraries are hiring social workers to help patrons connect with housing and other needed social services.